It’s been a while since I last wrote to you, that time I told you that you’re not a process. And since Christ hasn’t returned yet, you’re still here, in all your multiple personalities. 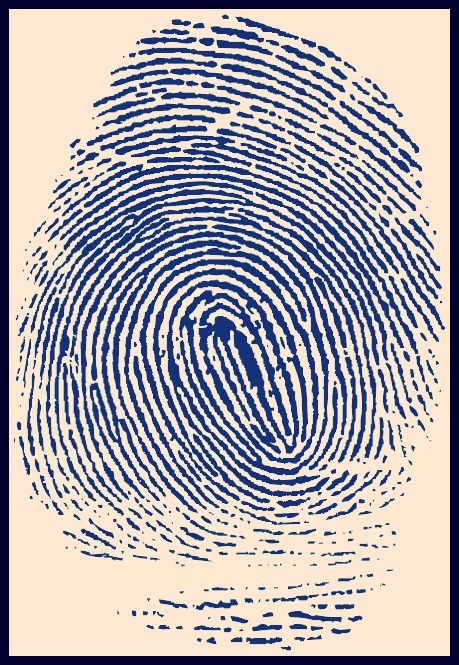 You’re like a fingerprint, leaving a unique mark and lasting impression on each person you inhabit. And like fingerprints, you can take ten different shapes at any moment of any given day. Even if seared or burned, you linger under the surface, reappearing with time, unwilling to be destroyed, erased, forgotten. You have a green ink stain on one of your prints, the distasteful shade of jealousy, the one that looks at other, unblemished prints and envies them. You know, those fingertips that reveal perfectly manicured nails on the other side and still complain about a chip in their polish. Having a relationship with you is a lot like being a parent. For some, awareness of you begins with two pink lines on a white stick, with several months to bear before you are officially born. You’re there, but largely unseen; expected, waited for, anticipated with a complex fear of the unknown. For others, you come suddenly, uninvited, like an abandoned baby left on a doorstep in the middle of the night. We wake up to the responsibility of you, and take you in without a choice. Either way, whether expected or not, you arrive, and we have no idea what to do with you. Like parents of a newborn baby, we fumble around through sleepless nights like zombies living an out-of-body experience. Just when we think we’ve figured out your routine, you change your patterns, throw a tantrum, learn a new trick. You grow into new phases, develop and change with the pictures on the calendar. Unlike the blessing of children, you hold no joy. And like I said before, until we enter glory, you never go away. We’re stuck with you, bound to you as a lifelong guardian well beyond the point when you reach maturity. Yet in all these marks that you leave with your lasting, wavy impressions, you’re not stamped with permanent ink. Your prints are not made with an unwashable Sharpie. Yes, your stains will linger in this lifetime, even after countless loads through the washing machine, and seemingly endless desperate attempts to remove you from the fabric of our souls. You will linger, until one glorious day, when the Ultimate Stain Remover will come and will present His bride “to himself in splendor, without spot or wrinkle or any such thing, that she might be holy and without blemish” (Ephesians 5:27b, ESV). The perfect Lamb, the One without blemish or defect, is coming — and He will take the garments you’ve given to us, the ones that linger with the stench of your smoke, and He will throw them away and clothe us in pure white. Your stains remain for now, Grief, but your days are numbered. You will soon be scrubbed out, bleached into whiteness until you are invisible and will be remembered no more. This post is a follow-up to my first Open Letter to Grief, which can be found here. That was brilliant, Kate, and so very true. Praise God for the anticipation of Jesus’ presence either sooner or later. So beautifully written, just like the first letter. Thank you for putting words to what is sometimes so hard to talk about, for doing it so eloquently, and for sharing it.